In the market for a new car, take advantage of quality priced cars at Budds’ BMW Hamilton. There has never been a better time to purchase a new car with attractive finance options and an exceptional selection to choose from today. Valuable advice, no-pressure sales and a relaxing atmosphere welcomes you as the enter our dealership. Price points are important when purchasing a vehicle and we understand the value of a quality experience, relationship and vehicle during the sales process. 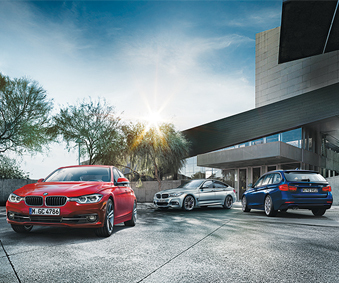 The days of limited selection or options are a thing of the past at Budds’ BMW Hamilton. People from Hamilton and all around are taking advantage of the quality priced cars that we have available. The inventory selection is broad, which gives customers the ability to make selections based on their wants and needs when buying a new car. Economy, full-size, SUVs, luxury sedans and much more are all a part of our late model and new inventory. There is a convenience factor in price and delivery and at Budds’ BMW Hamilton we believe that quality priced cars are the key to both. Customers will find the convenience of knowing that they are getting the car they desire at a price they can afford is the most valuable part of the process. There are many factors utilized to determine the price of our vehicles as we want to be certain that our customers are getting quality service and price with their vehicle purchase. Customers from near and far will enjoy the ultimate experience and superior satisfaction with their vehicle purchase. If you’re searching for quality priced cars that offer elite performance, style, and innovative technology, our selection delivers all of this and more. Visit Budds’ BMW Hamilton for purchasing advice or to schedule a test drive.